It’s not a bike you’ll see everyday, and that’s one of the coolest things about it. What is it? That’s a really good question. 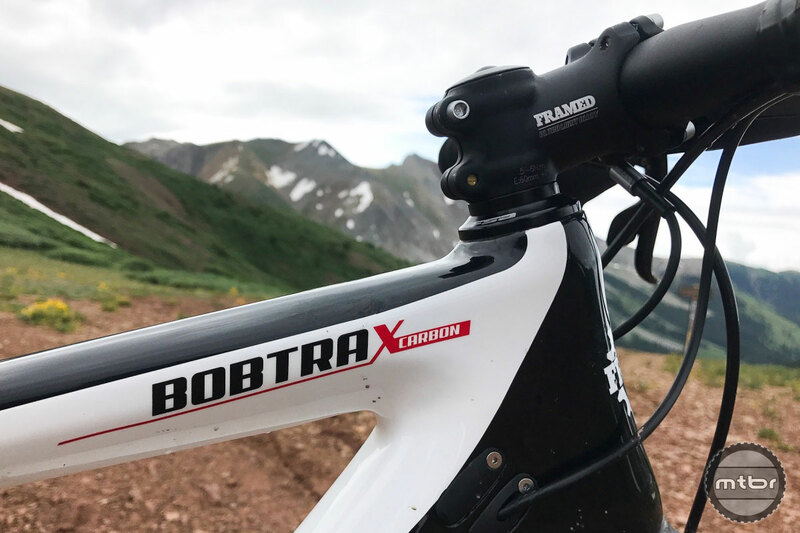 Normally the Framed Bobtrax Carbon frame is sold as a 29er/27.5+ hardtail mountain bike. But going into this Mtbr test, the general idea was to build up an “adventure bike” equally capable on trail, dirt road, and even a little pavement. The Lauf fork shaves weight and still offers 60mm of chop-smoothing suspension. 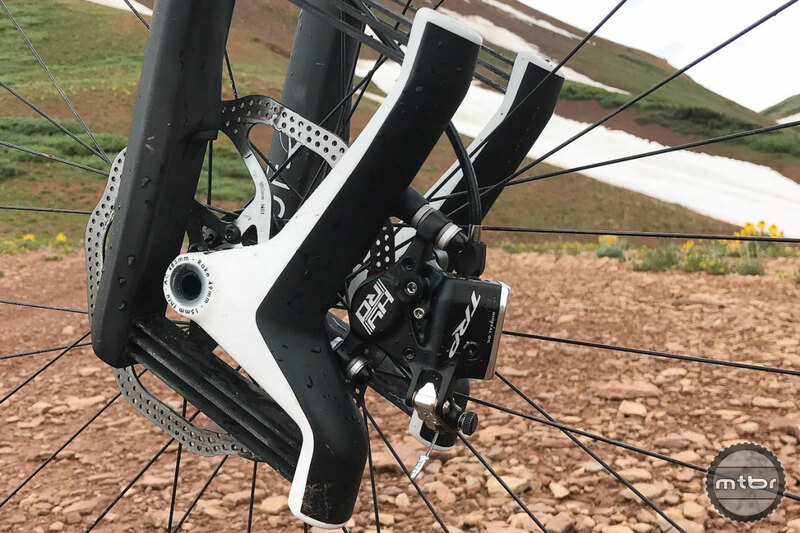 The nuts and bolts of the build on this XC-leaning frame were this: TRP HY/RD disc brakes, Pub Carbon MTB wheels, and capable 29×2.2 Continental X-King tires. But then things diverged toward the different. It also sported flared 44cm dropbars, a Lauf Trail Racer Boost fork, blended SRAM 1x drivetrain (11-42 cassette/32t chainring), and a Fox Transfer 100mm dropper post actuated by the front shift lever, which you don’t need for its intended use because there’s no front derailleur. So did it serve its intended Swiss army knife purpose and lead us on successful multi-terrain adventures? Read on to find out. Bars are 44cm wide with a pronounced flare at the drops. The key to evaluating any bike is to first ask what’s it for and then decide whether it does whatever that is well or not. I’m still not entirely sure what this particular bike’s purpose is, but for the sake of conversation let’s say it was built up in a way that you would allow you to ride on pavement to a dirt road to a rougher dirt road and then dip onto moderate singletrack before retracing your steps home. Call it monster cross with a touch of cross country racer. Using that definition, you can argue that this version of the Framed Bobtrax does a decent job. 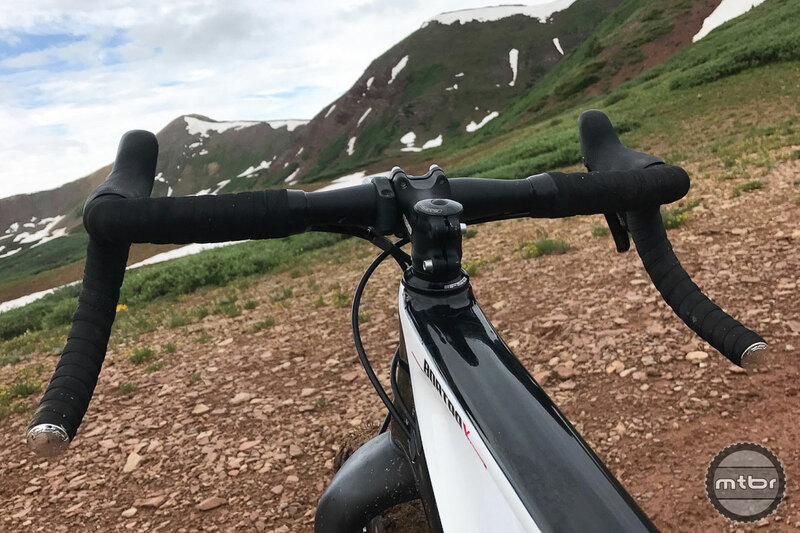 During several months of testing, I pedaled this bike on all manner of dirt roads, some mellow singletrack, and the occasional paved tarmac. 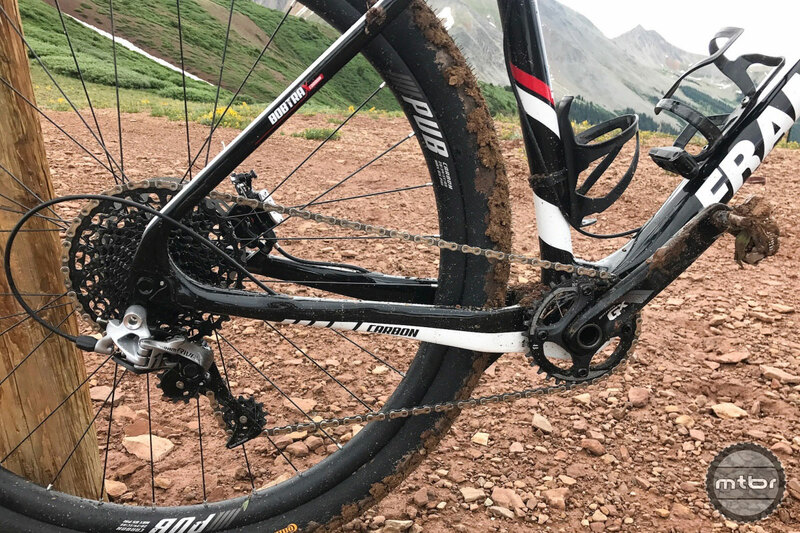 Of the three, it was most at home on dirt roads, as the 29×2.2 tires don’t roll particularly well on pavement, and the 60mm of travel and dropbars aren’t exactly ideal for rowdy singletrack. 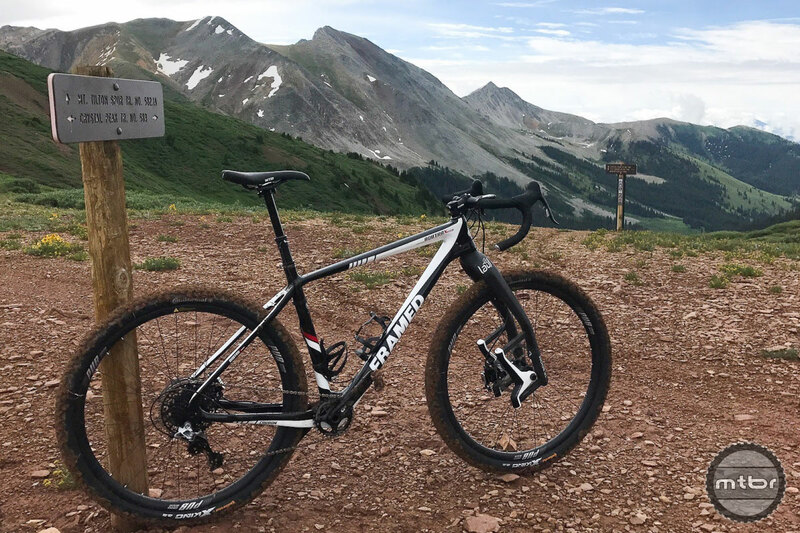 All that said, the experience was not so exemplary as to dramatically separate this bike from a similarly priced mid-tier hardtail, which would have more travel and only weigh a little more. The carbon frame has internal routing ports. Based on that, I’m given the impression that the Framed crew also like to play around with the traditional definition of what a bike is and what it can do. Yes, you could do the exact same ride mentioned above on a traditional hardtail. But this funky Bobtrax Carbon build is something different, and perhaps something more fun. It pushes past traditional boundaries, and says, hey, there’s more than one way to spin around the outdoors on two wheels. 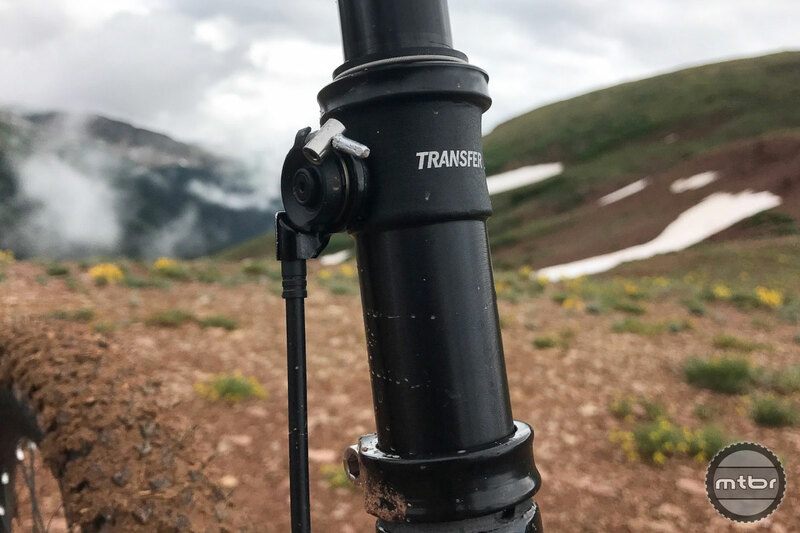 Fox’s externally routed Transfer dropper post was a slick addition, but it had some slippage issues in cold weather. But is it the best way to take that spin? For me the answer was, no. 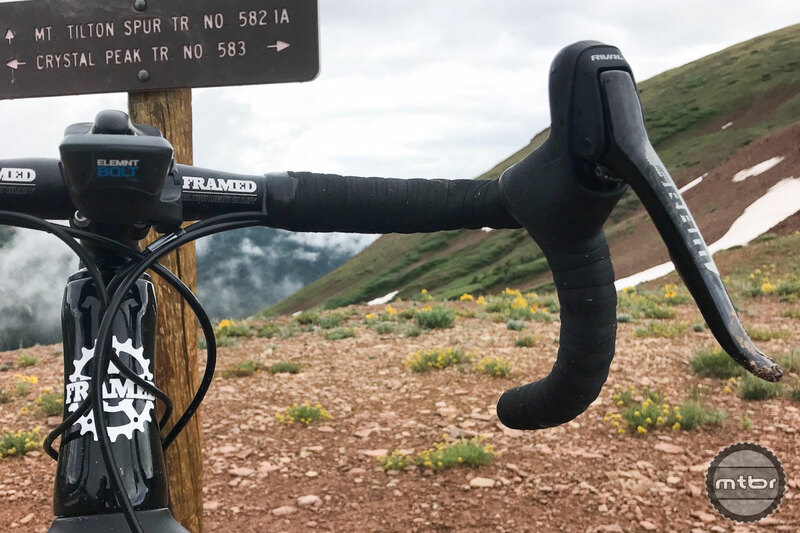 The 60mm Lauf fork is fine on dirt road chop, but get into anything more technical and you really have to back off. Even a budget-priced 100mm fork would be more capable. I also didn’t love the dropbar set-up. The flare shape is hipster fun. But again for this purpose they don’t offer much real advantage over flat bars, and can feel compromised when you’re riding on something besides a road. I also found slow-speed steering to be a tad sluggish, which was odd considering headtube angle is actually a fairly aggressive 69 degrees. Points were also deducted for what I’ll call the out-of-box experience, which included a severely bent front rotor, out-of-whack shifting, and significant blemishes on the brake caliper and chainstay. If you’re going to sell consumer direct, these types of issues are deal breakers. Fortunately, I had an extra rotor sitting around and was able to adjust the rear derailleur. 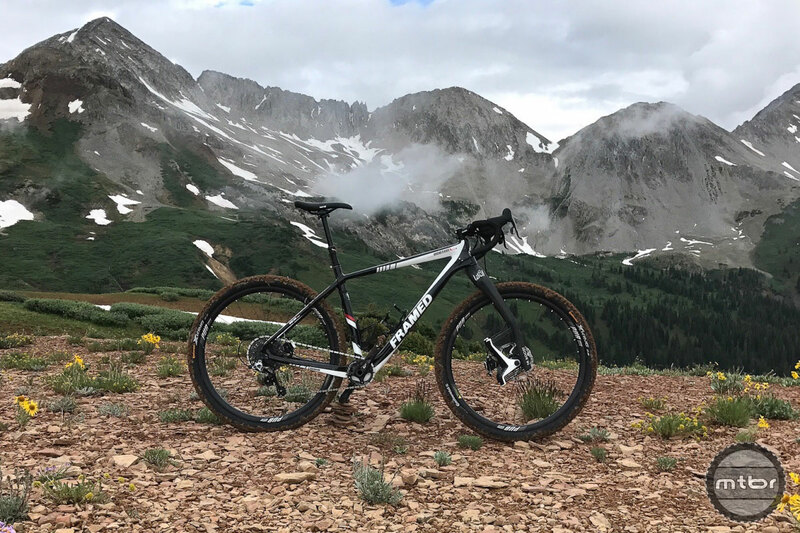 But that’s asking too much of the average consumer, especially when brands such as Canyon, Diamondback, and Fezzari have reputations for delivering well-dialed bikes right to the customer’s door. 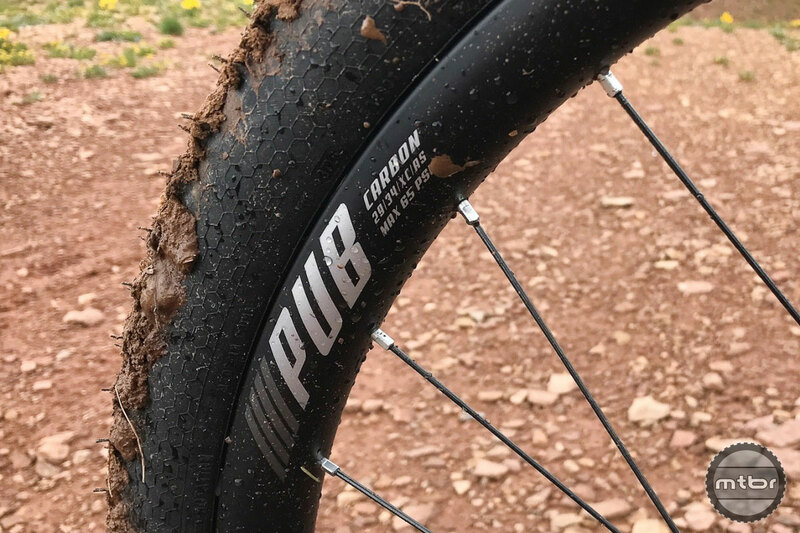 The Pub Carbon wheels and Continental 29×2.2 tires made short work of mellow singletrack. It’s not all bad news, though. Props are given for using a threaded bottom bracket. And I loved the creative implementation of the dropper post (though it did slip some in cold weather). 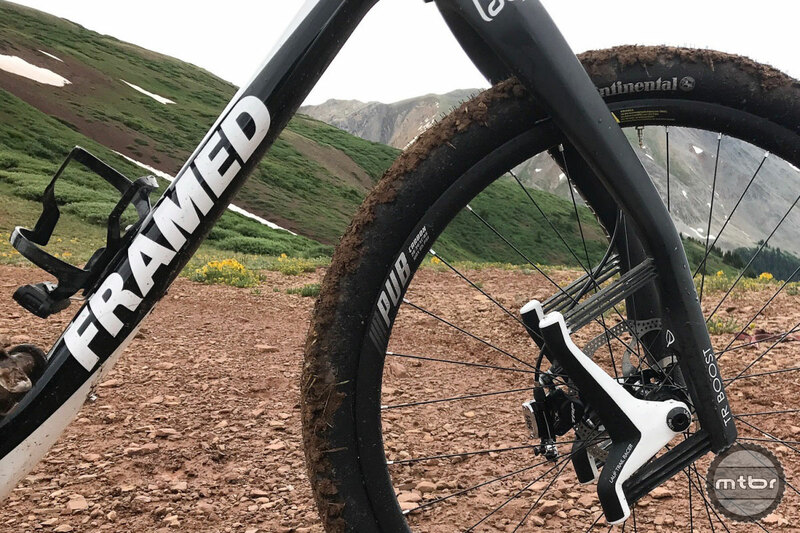 Also the wheel-tire combo felt light, spun up quickly, and there was enough tread that it was no problem to lean hard into turns, whether on smooth singletrack or bumpy jeep road. The gearing was also well thought out. 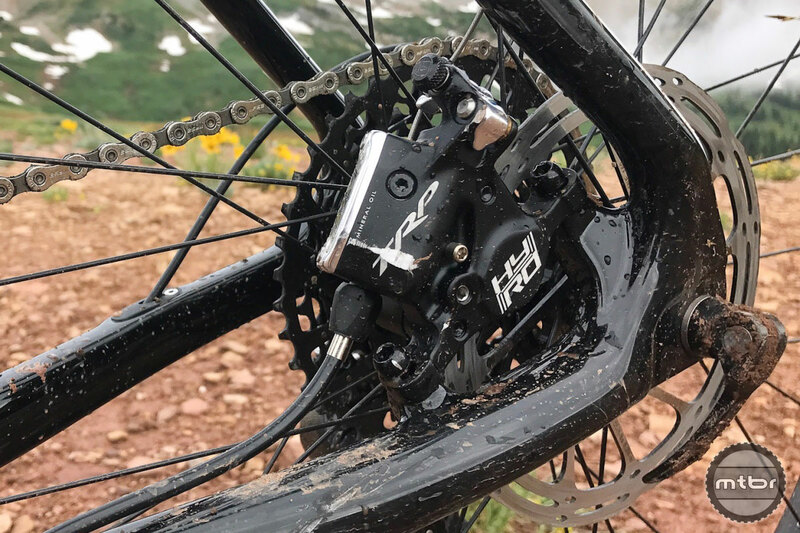 By pairing an 11-42 cassette with a 32t chainring, there was enough low end to get up most steep climbs, but you could still get on the gas on the flats and not get totally spun out. And most of all it was something different. And while this version of different didn’t speak to me, I’m sure there are riders out there that live in the perfect place for a build such as this. That’s what is cool about the Framed concept. You can mess around. If you don’t like a stock build on their website, or are just looking for something different, give them a call. It’s likely they’ll be willing to work with you. And that’s certainly not something you can say for a lot of bike companies out there. The Framed Bobtrax Carbon adventure build helped us get to places such as this. Drivetrain on this build was a SRAM Rival/GX blend with plenty of range for steep ups and fast flats. TRP brakes offered plenty of stopping power. 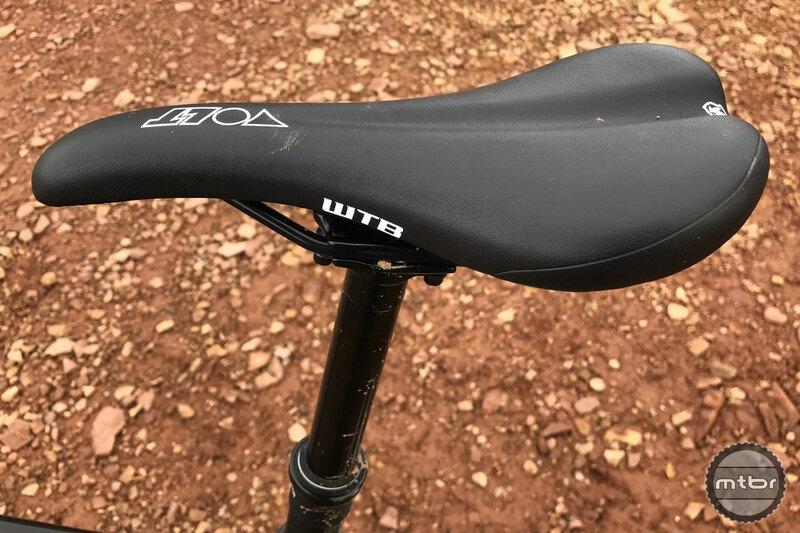 WTB’s Volt saddle provided a comfortable perch for off-the-beaten-path adventures. That’t the dropper post lever on the right. The bike had some out-of-box blemishes, including some marring on the brake caliper. Seems like the main issue wasn’t the Framed bike, it was that stupid fork. For going in straight lines over gravel it seems like a fine choice but any kind of precise handling / hard steering on that thing looks terrifying, flexy, undamped mess. For a few hundred less you could have built it up with a Reba or Recon and it would’ve been a perfectly capable bike. I guess it’s nice that Framed lets you pick different forks, but the Lauf doesn’t really belong on anything other than dirt roads. Just seems like the answer to the question no one is asking. Do we need ANOTHER category/subcategory of bike?